Birds of Prey by DC is now into its production, and the shoot has given DC fans some really fascinating looks at Cathy Yan’s adaptation of characters like Black Canary and Huntress for the big screen. Fans are getting their exciting look at the Birds of Prey set, and also our first look at the whole team. This looks like an epic comic film team assembled shots that you find at the climactic point of the film. The women look ready, as Cassandra, Renee and Harvey are all brandishing some Weapon. It’s safe to assume that Huntress is armed when our fire at Winstead isn’t obstructed. And Canary? She’s the weapon herself! 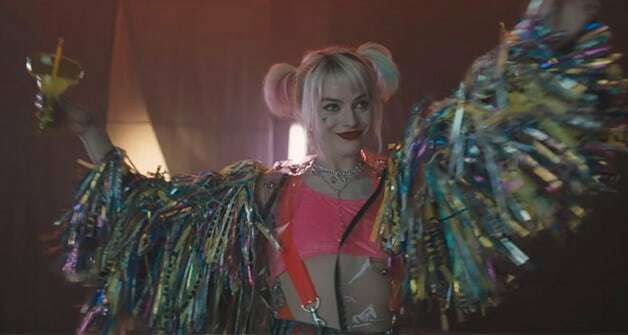 Birds of Prey has so far kept its details a secret but its title, “Birds of Prey (And the Fantabulous Emancipation of One Harley Quinn)” suggests that the story will see Harley breaking free of Joker. Cassandra Cain’s presence claims that the study will be inspired by the comics. It will the Birds flocking together to protect the young assassin training. Ewan McGregor’s Black Mask and Chris Messina as masochistic killer Victor Zsasz suggest an organised crime story that will touch both Huntress and Detective Montaya. It’s not very hard to see that all these elements will co-relate into a story of Harley protecting a young girl, only to Angry leagues of assassins and monsters. This will bring the rest of Birds of Prey out to work. This is just a guess but it sounds like an intriguing DC team-up is on the cards. There is enough here to be spun into a huge web of connection that may link into David Ayer’s Gotham City Sirens, which sees Harley uniting with a few Gotham’s female villains instead of superheroes. This film is also rumoured to lead into a Birds vs Sirens crossover threequel that may finish this massive underworld saga.